Many people with IBS find that making changes to their diets can help to reduce and control their symptoms. It is important to remember that certain types of foods do not cause a person to develop IBS, and neither does the digestive process itself. Instead, the symptoms of IBS are the result of the muscles and nerves in the bowels over-reacting due to the hormones that are released during the process of digestion. Food triggers are foods that can cause IBS symptoms to get worse. People with IBS can have a variety of food triggers, which can change over time and are not necessarily the same as the food triggers for other people with IBS. Identifying and avoiding your own personal IBS food triggers is important for managing the condition. However, this can be tricky because it can be hard to tell the difference between a food allergy or intolerance and an actual IBS trigger. This process will often require a great deal of trial and error. One strategy that can be effective in identifying food triggers is to keep a diary to carefully track your diet, along with which symptoms you have and when you have them, over the course of 2-3 weeks. A healthcare provider can review the diary with you and help you to pinpoint potential food triggers and develop a dietary plan that avoids those triggers while still providing you with a balanced, nutritious diet. 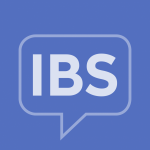 General tips for managing IBS symptoms are to avoid eating large meals, and to eat smaller meals more frequently. There are also certain foods that are known to trigger IBS symptoms of cramping and diarrhea, and others than tend to trigger gas and bloating. Healthcare providers may recommend that some people with IBS try out a special diet called a “low FODMAP” or “FODMAP.” This diet is designed to reduce your consumption of foods that can be hard to digest, which may help to control IBS symptoms for some people. It is important to get advice from a healthcare provider before making this type of dietary change, in order to make sure that you are still getting all the nutrients you need in your diet.